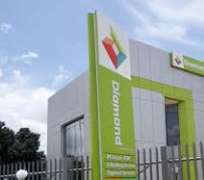 Diamond Bank Plc may have to shell out the princely sum of N2.6 billion if it loses the suit brought against it by a limited liability company, Gitto Costruzioni Generali Nigeria Limited. The company which specializes in construction is suing the bank for allegedly mismanaging its accounts domiciled in the bank. According to a copy of the statement of claim obtained by this newspaper, trouble began when the bank allegedly began to overcharge the company’s main account with sundry levies including Commission on Turnover (COT), lending fees, bank guarantee fees, transfer fees and interest on loans in a manner contrary to the written agreements the company had earlier signed with the bank. The suit has been adjourned till 15th of October, 2018 for hearing.